For more information about the effects of salmonella contamination and your legal options after consuming contaminated food, contact the food poisoning lawyers at 1-888-335-4901. Washington-based Haggen stores are recalling a number of deli products that contain diced yellow onions potentially contaminated by salmonella. The raw onions are from Taylor Farms of Salinas, California, a large producer and supplier of fresh produce. The products being recalled out of food safety concerns were sold at the full-service and the self-service delis of the Haggen stores. Consumers who purchased these products should not eat them. Salmonella contamination causes a range of gastrointestinal issues, including vomiting, diarrhea, and nausea. 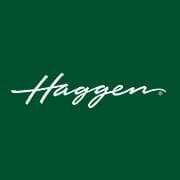 Consumers who have purchased deli products from Haggen stores that may be part of the recall should destroy those products or return them to the store.